I’m teaming up again with Brewer Will to do another metal night, this time dubbed Brutality At The Brewery, on Friday, May 8th, 2015! We used to hold metal nights at Port City but Will is now working for Fair Winds Brewing in Lorton, Virginia and we’d like to continue the tradition at his new nautical themed brewery of employ. The place is right off I-95 at the Fairfax County Parkway exit and takes about the same time to reach as Empire/Jaxx does since you don’t have to drive down Old Keene Mill with all the stoplights. And the tasting room where we’ll be holding this event is brand new and really nice! 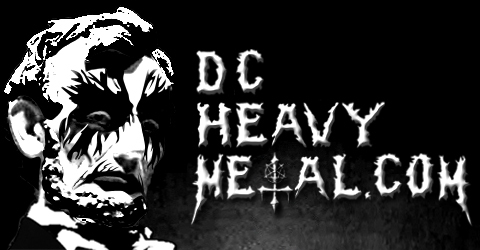 We’ll be playing metal tunes all night (as usual you can send in requests or even your own band’s music) and giving away prizes like concert tickets and band merch. What more could you want? Well how about a sneak preview of the new King Giant album Black Ocean Waves for starters! 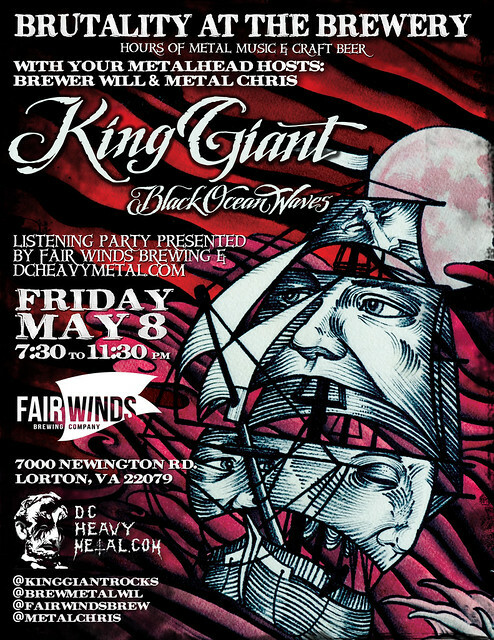 That’s right, you’ll be able to hear the new King Giant album first at our Brutality At The Brewery event! Also, since Empire is closing earlier that same week there will be a special discount for all of their employees that have suddenly lost their jobs. You can get more information on the Facebook event page here and you can send your song requests to Will by posting them there or sending them to him via Twitter at @BrewMetalWill. So come hang out with us and a bunch of the area’s metal heads as we talk metal, drink some great beers and listen to heavy metal all night, and who knows, you may win something too!